David McLetchie said he was going with a "heavy heart"
Scottish Conservative leader David McLetchie has resigned after pressure over his Holyrood taxi expenses. The Edinburgh Pentlands MSP spent £11,500 during five years - more than any other MSP - but said the claims were made in good faith. Mr McLetchie said he was standing down with a "heavy heart" but said he recognised that recent coverage had been damaging for the party. His deputy, Annabel Goldie, will fill the role until a successor is chosen. If more than one MSP stands for the position then the new leader will be elected in a one-member-one-vote ballot of party members in Scotland. BBC Scotland political correspondent Kit Fraser said Ted Brocklebank, Murdo Fraser and Brian Monteith were among the names who had been suggested as successors. The party's chief whip, Bill Aitken, said he would reflect on whether or not to put his name forward. He said Mr McLetchie had been a tremendous servant but agreed he had made the right decision. MSP Brian Montieth would not rule out standing for the post, while enterprise spokesman Murdo Fraser, often tipped as a future leader, said Mr McLetchie had made the right decision but refused to reveal whether he wished to succeed him. Announcing his resignation, Mr McLetchie said: "I have been committed to the Conservative Party in Scotland for the whole of my adult life and what it stands for is far more important than me personally. "I recognise that the recent coverage surrounding my expense claims has been damaging and is a major distraction from our efforts to rebuild support for the party in the country." Mr McLetchie thanked colleagues for their support. He added: "I also reiterate my commitment to fully reimburse any expenses which I have claimed in error." 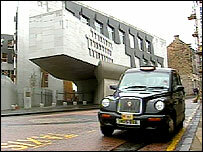 Pressure had mounted on Mr McLetchie after the Scottish Parliament published full details of his travel expenses, following a request under freedom of information legislation. The document provided details of taxi claims which confirmed speculation about regular trips he took from Holyrood to the Edinburgh legal firm he worked at the time. Mr McLetchie said he had carried out parliamentary business from his firm's offices, but he also repaid £250 which had been misclaimed for a return flight to Bournemouth in 2002 and another trip to Selkirk in 2003. Paul Hutcheon, of the Sunday herald, is the journalist who put in the freedom of information inquiry which began the affair. The paper's political editor said: "I think it's going to be difficult to explain why he was taking taxis back from Tory party fundraisers, I think that probably explains his resignation today." Scottish Labour leader and First Minister Jack McConnell said: "Elected politicians should take great care when they are spending taxpayers' money. "I am sure that David McLetchie has made the right choice for his family and for the Scottish Parliament." Scottish Liberal Democrat Leader and Deputy First Minister Nicol Stephen said: "This is clearly a major blow to the Conservative Party. 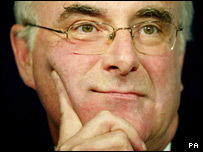 "However, if David McLetchie believes that he can no longer defend his position, he has clearly done the right thing." The Scottish National Party said the Tory leader's position had become "untenable" due to the number of unanswered questions about his expenses. Mr McLetchie was little known outside the party when he took on the position that commentators had dubbed the "job from hell". He became Scottish Conservative leader in 1998 and directed the party's campaign in the first Scottish Parliament elections in May 1999. Despite being a close supporter of the Conservative former Scottish Secretary Michael Forsyth - a strong anti-devolutionist - Mr McLetchie embraced the new-found autonomy Holyrood provided. On the election of a new leader, Scottish Conservative Party chairman Peter Duncan said: "What we have to do is put in place the detailed timescales and processes that will take us forward between now and the election of a successor. "That we will do over the next few days and I will make an announcement mid-week which will confirm those detailed processes."